The 6th National Winter Maintenance Peer Exchange will be held September 12-13, 2017, in Pittsburgh, Pennsylvania, at the DoubleTree by Hilton Hotel & Suites Pittsburgh Downtown. The technical program for the Peer Exchange will include a keynote address and panel discussion on moving research to operation as well as briefings on the most current research in winter maintenance and RWIS technologies from the various groups, consortia, and other agencies involved with winter maintenance, along with presentations on “best practices and innovations” from state DOTs. 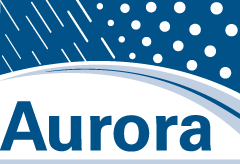 The event is sponsored by the Aurora and Clear Roads pooled funds as well as AASHTO’s SICOP. The National Winter Maintenance Peer Exchange is the premier forum for winter maintenance professionals to learn about the state-of-the-practice and state-of-the-art in winter maintenance. Participants will benefit in learning what the best practices are from over 30 state DOTs showcasing their work in winter maintenance. Breakout sessions will provide the opportunity to contribute to the national winter maintenance dialogue and research agenda. Aurora says thank you and goodbye to two long-time members: Ron Hall and Joe Doherty. 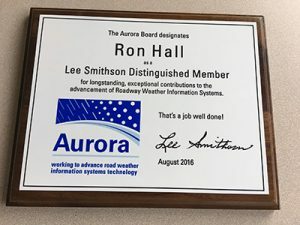 For their long-time service and dedication to the organization, Ron and Joe are being designated with the Aurora “Lee Smithson Distinguished Members” award. Ron—the Southwest District Engineer at the Kansas Department of Transportation—joined Aurora in 2013. He has been active on Aurora projects. 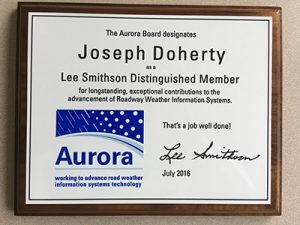 Joe—from the Office of Transportation Maintenance in the New York State Department of Transportation—has been with Aurora for many years and served as chair in 2010. So long Ron and Joe, with great appreciation and the very best of wishes. In Utah, there’s weather and there’s also mountain weather. In April 2017, Aurora board members met in Salt Lake City, Utah, to visit the UDOT Traffic Operations Center. As a part of the tour, the group found themselves taking the aerial tram up nearby Snowbird summit in Little Cottonwood Canyon with the UDOT Avalanche Safety Group. Utah is home to the Wasatch Range, a mountain range that stretches approximately 160 miles from the Utah-Idaho border, south through central Utah. 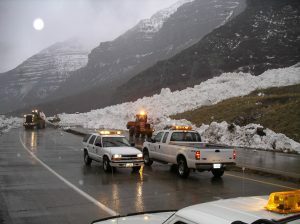 The Utah Department of Transportation is responsible for keeping Utah’s roads safe, which also includes keeping them safe from avalanches in the winter months. And that’s where the UDOT Avalanche Safety Group comes in. The Avalanche Safety Program in Little Cottonwood Canyon has been utilizing military artillery since 1949 with great success. In the early 80s, UDOT took over the role of stewarding the program, and since then, numbers of backcountry users have only increased. 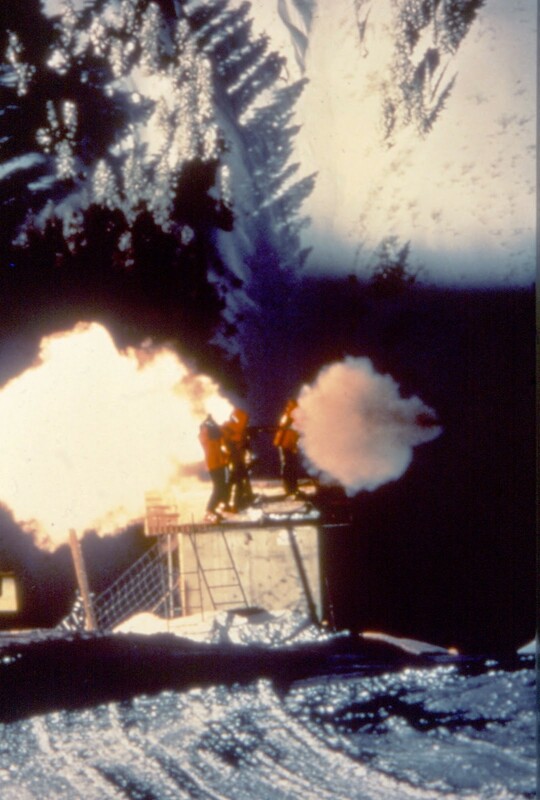 In addition to artillery, UDOT uses other types of exploding devices and techniques to trigger avalanches before they happen naturally onto open roads. Bill Nalli, the UDOT Avalanche Safety Program manager, had this to say. Q. Why is what you do so important? “Under authority of the local municipality where specific avalanche paths are found, UDOT enacts backcountry closures prior to and during control missions. In general, these closures begin the night before control work, but, in some cases, closures happen only hours before. The UDOT Avalanche Safety Group utilizes social media sites like Twitter and Instagram, as well as local roadway message and trailhead closure signs, to alert and prepare the public. Q. What are the biggest technological challenges that you’d like to overcome regarding sensing weather events and assessing avalanche risk? “The day-to-day weather is what controls our operations. Getting accurate and reliable weather forecasts is critical to any avalanche forecast team. Today’s weather forecasts are as good as we have ever seen, but there still remains much uncertainty. This uncertainty can make or break an avalanche forecast. 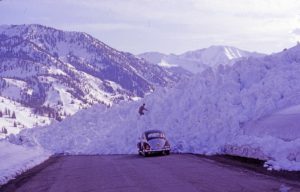 It takes large amounts of time to close a road and clear people away from areas needed for artillery avalanche control, and if the timing or intensity of the storm is not what is expected, the threat of avalanche accidents increases.